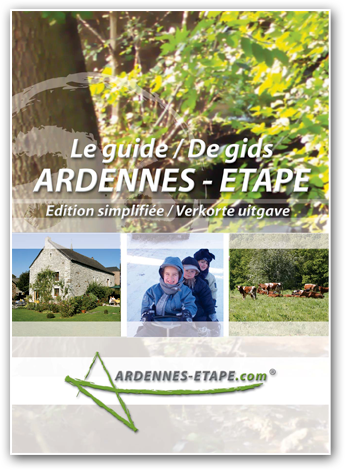 Mr Offermans and his partner decide to create this new thing called Ardennes-Etape. 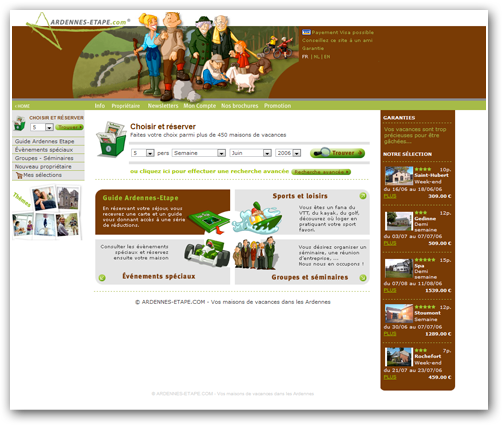 Launch of the very first Ardennes-Etape website in three languages. 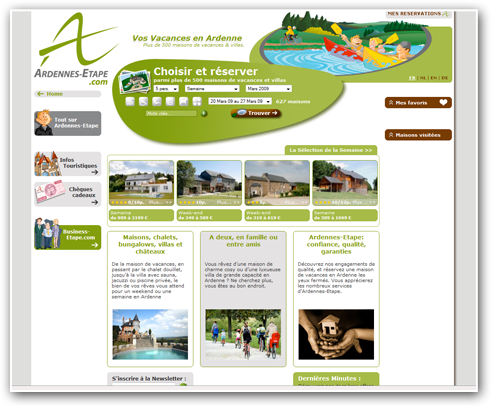 Ardennes-Etape selected 100 high-quality holiday homes in the Ardennes. the exclusive guide offers discounts for 22 tourist attractions. 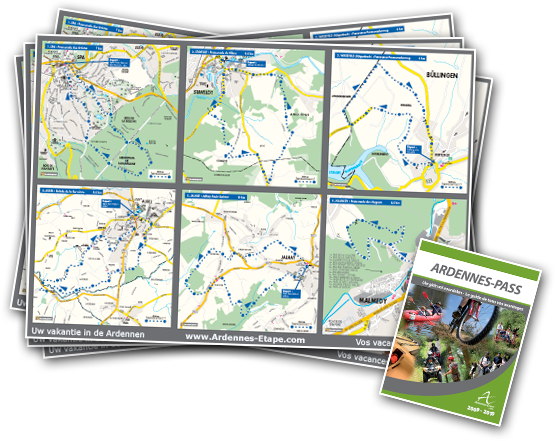 Ardennes-Etape gets a fresh look. we just hired a tenth employee! 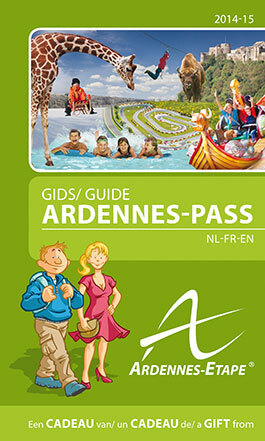 The Guide Ardennes-Pass has 65 partners already. 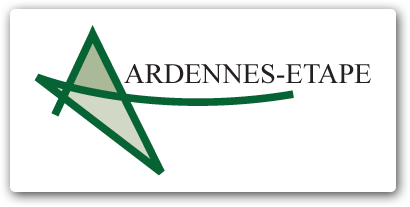 The Ardennes-Etape team is 18 now. Our collection has grown to more than 750 holiday homes. All of them offer the best quality lodging in the region. 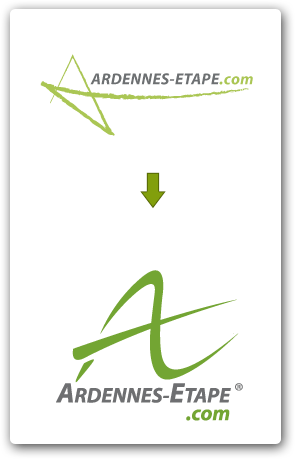 The Ardennes-Etape logo underwent a complete restyling. What do you think of the before-after? 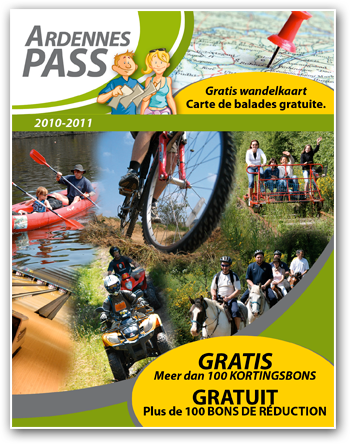 The Guide Ardennes-Pass now offers reductions for 97 partners in the region. 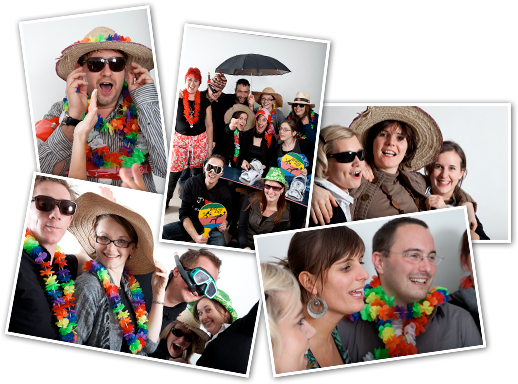 New website, a lot more pictures and now it is easier to navigate through the site. 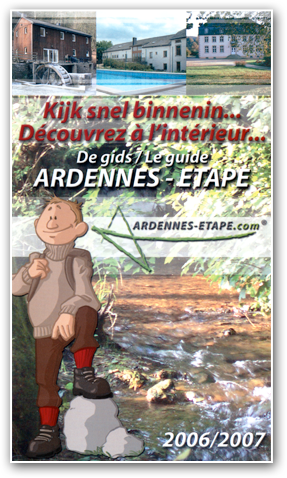 For the first time, Ardennes-Etape provides a hiking map for 4 regions, with 6 different routes each, resulting in 24 hikes in total! is not the number, but the high quality! 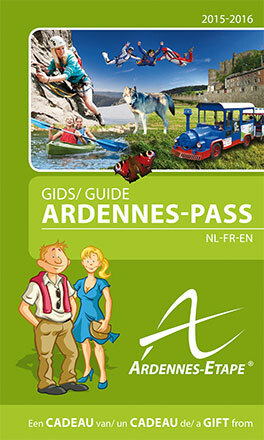 The Guide Ardennes-Pass is printed on 30,000 copies! 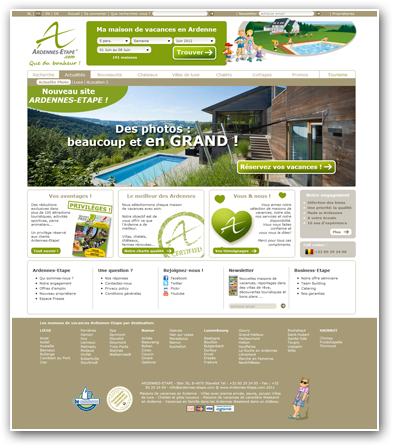 advise the holiday home owners and… Make sure our website is functioning properly 24/7. 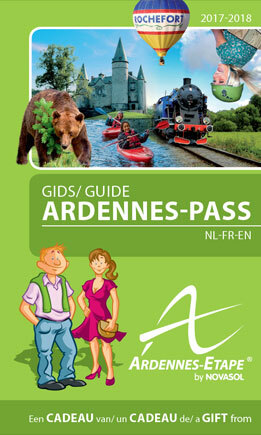 the Guide Ardennes-Pass is your reliable partner for a delightful stay in the Ardennes. with all possible questions and to help you plan your holiday! it easier for you to find the best holiday home! 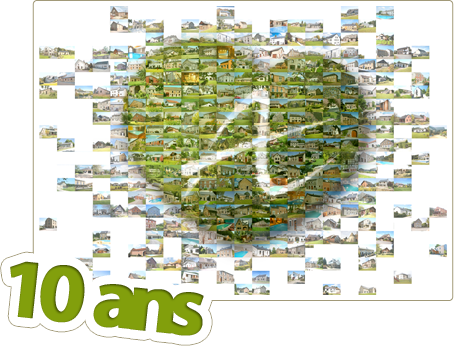 and more than 120 partners across the Belgian Ardennes. The essential guide for successful holidays! 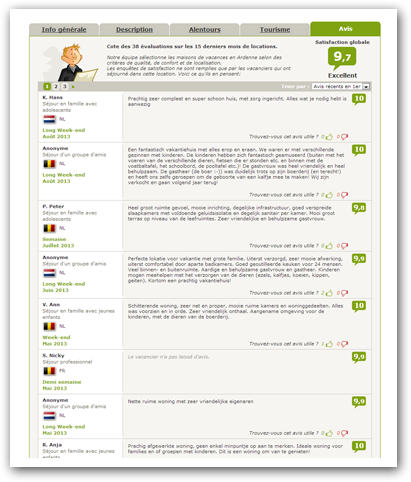 Holiday-makers' reviews of our holiday homes are online now. 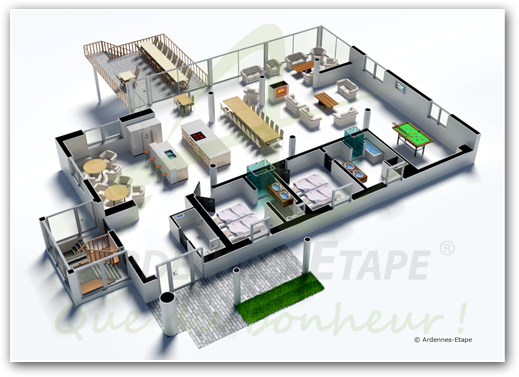 Our team designed 3D floor-plans for over 150 holiday homes on our website. 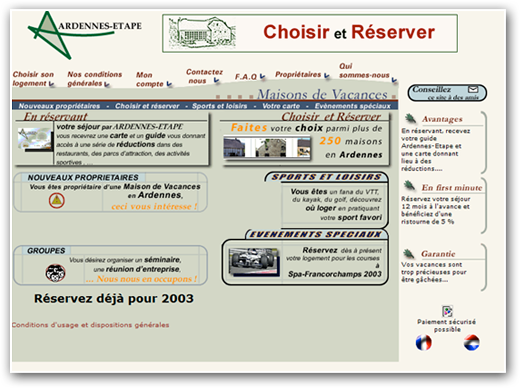 This unique feature gives you an exclusive insight into the lay-out of your future holiday home. More partners, more discounts and more tourist information. 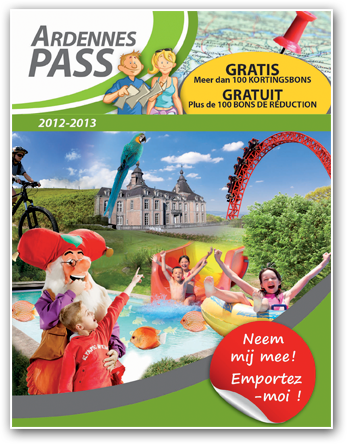 for an excellent vacation in the Belgian Ardennes. 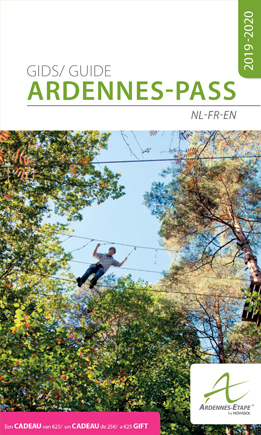 The new Guide Ardennes-Pass 2015 has arrived. This year, in more than 200 pages of tourism information and 140 partners, the guide reveals a restaurant list for modest, average and large budgets, classified per region. 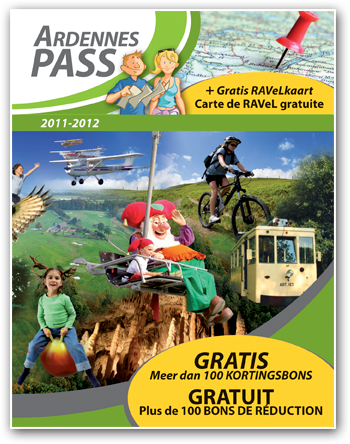 More partners, more discounts and more tourist information. 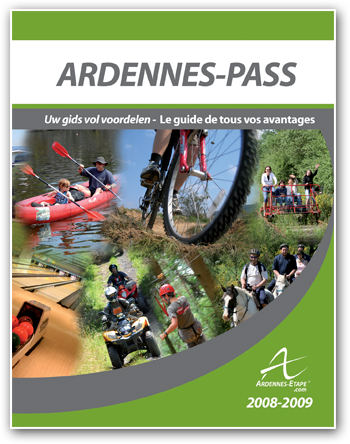 The Guide Ardennes-Pass 2016-2017 is your essential partner for an excellent vacation in the Belgian Ardennes. More partners, more discounts and more tourist information. 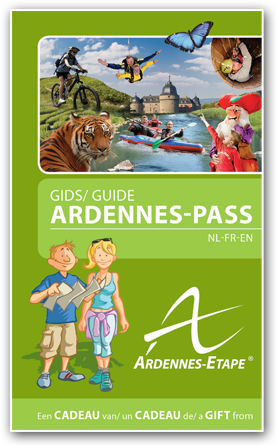 The Guide Ardennes-Pass 2017-2018 is your essential partner for an excellent vacation in the Belgian Ardennes. More partners, more discounts and more tourist information. 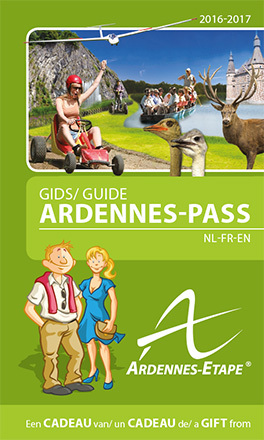 The Guide Ardennes-Pass 2019-2020 is your essential partner for an excellent vacation in the Belgian Ardennes.